The Chicago Transit Authority, one of the largest employers in Chicago, has a dramatic racial imbalance in its workforce, records show. Data obtained by WND through a Freedom of Information Act request reveals that whites and Hispanics are vastly underrepresented in the Chicago Transit Authority workforce. Minorities are 82 percent of the total CTA workforce, with blacks comprising 65 percent. The city of Chicago itself is roughly one-third white, one-third Hispanic and one-third black. The percentage of blacks in CTA employment is twice their share of the population, and several legal experts are surprised by this disparity, and note that a similar racial imbalance would be cause for alarm if the disparity were weighted toward whites. The disproportionately high percentage of blacks employed in Chicago by CTA is part of a pattern observed in Washington, D.C., Birmingham, Ala., and Atlanta, Ga., among other cities. According to the New York Times, one out of every five black workers has a public sector job. Although blacks would almost certainly be better off if they were more active in the private economy, the fact is that they are unduly dependent on public sector employment. Without government jobs, the turmoil and instability that is already too prevalent in the black community might increase. In the private and public sector, disparities in hiring or pay are often the subject of controversy and lawsuits. Roger Clegg, president and general counsel for the Center for Equal Opportunity, told WND that the CTA demographics would be an issue if the races were reversed. 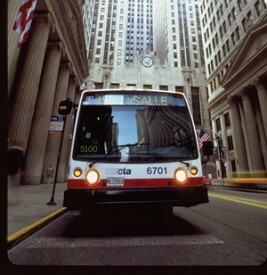 Clegg says that the disparities raise questions about CTA’s hiring practices. “I would say that these numbers don’t prove that anything is amiss, but that they do merit further inquiry to ensure that the CTA is recruiting and hiring the best qualified individuals, regardless of skin color or national origin,” he said. As a senator, Obama’s female staff made 83 cents for every dollar made by his male staff, in contrast to women on Sen. John McCain’s staff, who made $1.04 for every dollar earned by men. Similarly, stark racial disparities within Obama’s 2012 campaign staff recently came to light. A staff photo led to concerns that Obama’s campaign managers “may have violated employment law by hiring an overwhelmingly white office staff for his campaign headquarters in Chicago,” according to The Daily Caller. A photograph of the staff of around 100 revealed only two blacks, in the far background.